On March 20, 2018, surgeons at Children's Hospital Los Angeles, treated the hospital’s first patient with gene therapy. 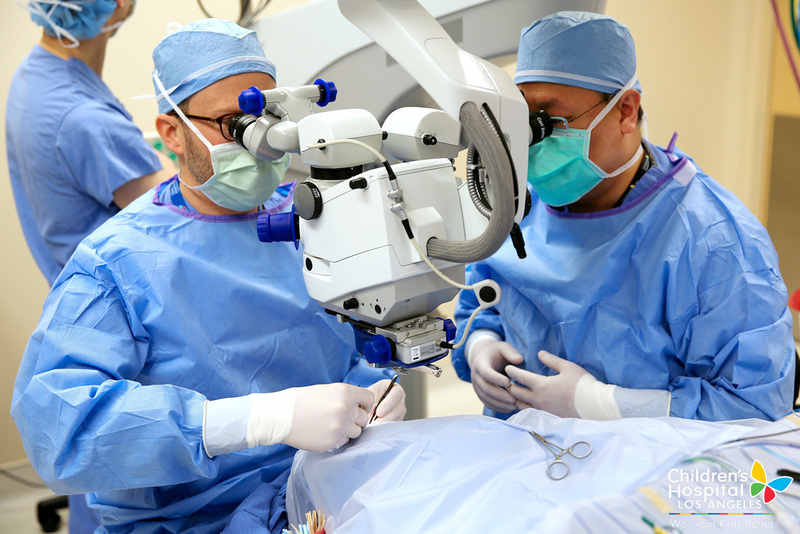 The complex eye surgery was performed by dedicated retina specialist, Aaron Nagiel, MD, PhD, of The Vision Center at CHLA, on an adult patient with Leber’s Congenital Amaurosis, a form of childhood blindness that affects the retina. The novel one-time treatment received approval from the U.S. Food and Drug Administration in December 2017, after clinical trials demonstrated that it was safe and effective in both children and adults. To be considered for treatment, patients must be tested for a specific genetic mutation and CHLA is one of the few facilities nationwide that has the certification and capability to perform the necessary testing on-site, at the Center for Personalized Medicine. Children's Hospital Los Angeles has been ranked the top children’s hospital in California and sixth in the nation for clinical excellence with its selection to the prestigious U.S. News & World Report Honor Roll. CHLA is home to The Saban Research Institute, one of the largest and most productive pediatric research facilities in the United States. Children’s Hospital is also one of America's premier teaching hospitals through its affiliation with the Keck School of Medicine of the University of Southern California since 1932. For more information, visit CHLA.org. Follow us on Twitter, Facebook, YouTube, LinkedIn and Instagram, and visit our child health blog (CHLA.org/blog) and our research blog (ResearCHLABlog.org).